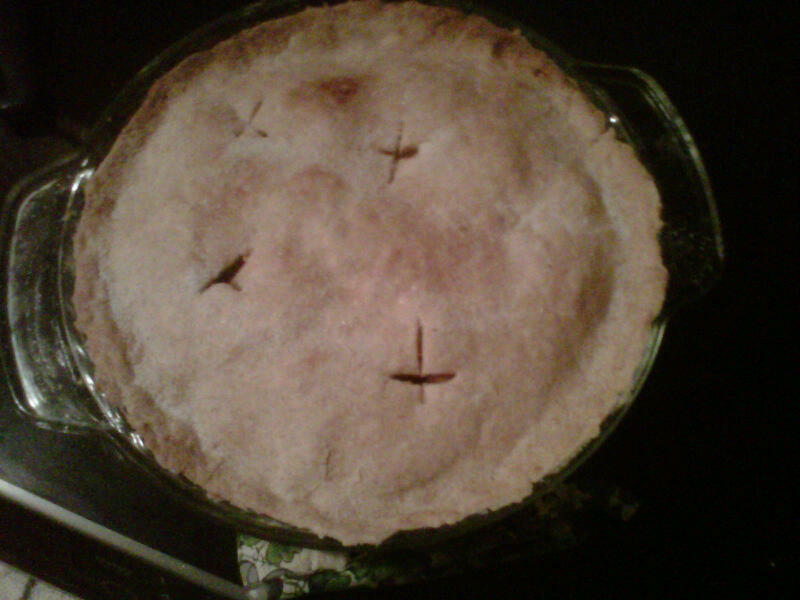 Making a pie from scratch has been a goal of mine for a long time and I've finally done it! I started out by looking at apple pie recipes online and they looked very complicated...one said I needed to refrigerate the crust dough for 4 hours or ideally overnight! I called my grandma and she set me on the right track. Grandma says that refrigerating the dough is completely unnecessary and her pie crust had 4 ingredients and one of them is water. The one I was looking at online had at least 8 - yeah, Grandma's won. Pre-heat oven to 350 degrees. Mix salt, cinnamon and flour together, cut in butter. Add enough water to moisten the crust as you work it into dough. Kneed for 5-10 minutes. Take half of the dough and roll it out (using a little flour) until it's about 1/4 in thick and place it in the bottom of a greased pie plate. The bottom crust should go up the sides of the plate, trim any excess away. Place sliced apples in a medium sized pot with 2 Tb of sugar and enough water to cover the apples. Cook on medium heat for about 10 minutes. Drain any excess liquid and allow to cool. Mix the 1/2 cup of sugar, cinnamon and nutmeg with the apples and place them in the pie plate. Roll the second half dough out until it's a 1/4 in thick. 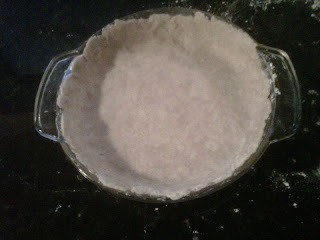 Place on top of the pie plate and press around the edges to seal with the bottom crust. cover the edges of the pie with foil (or a pie shield if you have one) Bake at 350 degrees for 45-60 minutes, removing the foil for the last 15 minutes.